Last June, I took a trip to Europe for the first time EVER. And the first city I went to was Amsterdam. So here's the thing. I wasn't particularly blown away by it. I'm not a huge party girl, and perhaps that why I didn't enjoy Amsterdam that much. But it's still a charming city, and the incredible bike system that they have is one you need to experience! Overall, knowing what I know now, I'd say 2-3 days is all you need to get your fill of the city though. 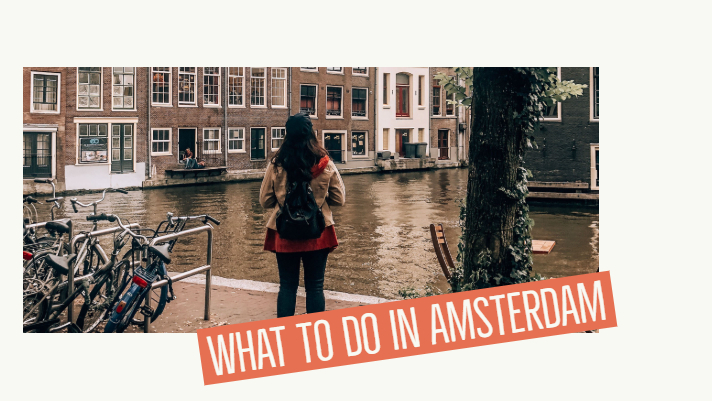 Now, allow me to dig through my memory and share some tips on what to do in Amsterdam! 1. 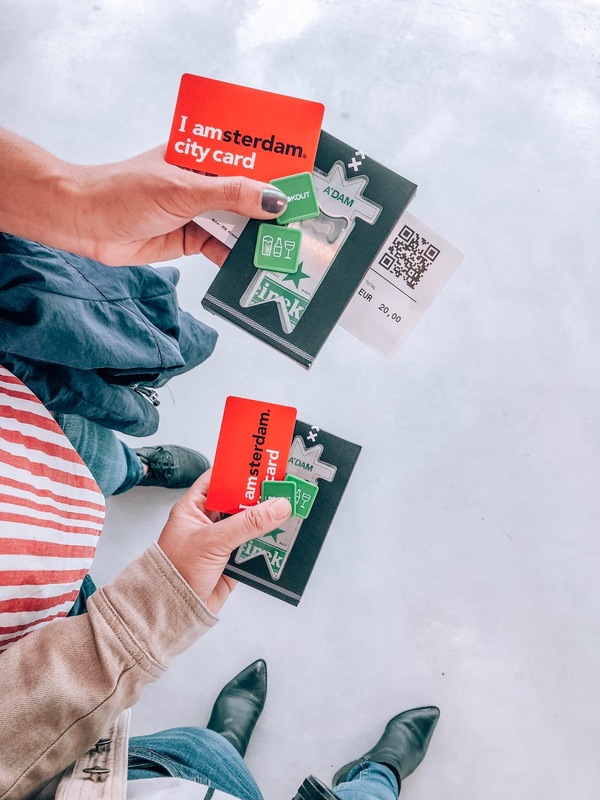 Buy the IAmsterdam City card. 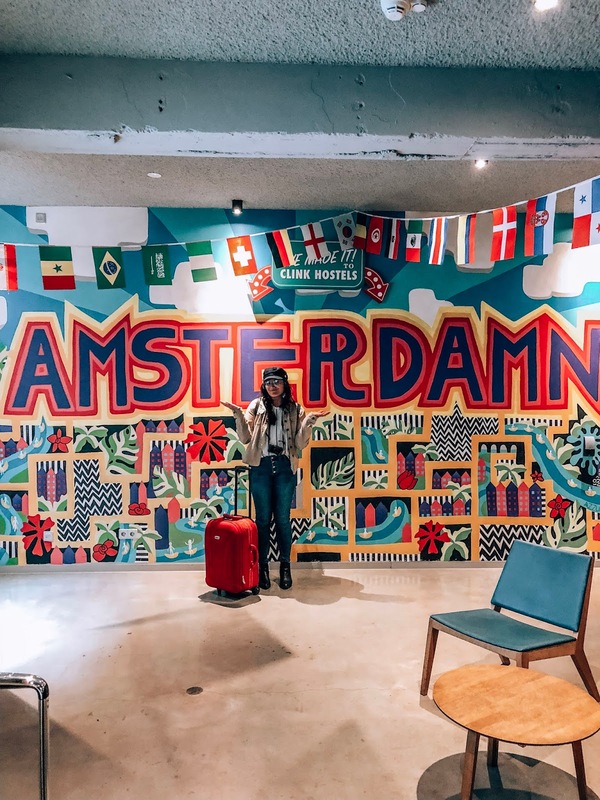 Plan out your days and invest in the IAmsterdam card. I think if we'd stuck to a plan better it would've paid off more. However, I'm still glad we got these. They give you free access to most of the museums, free rides on all the trams/buses, and a 20% discount on a lot of popular experiences (bike rentals, canal rides, the Heineken Brewery tour, etc). 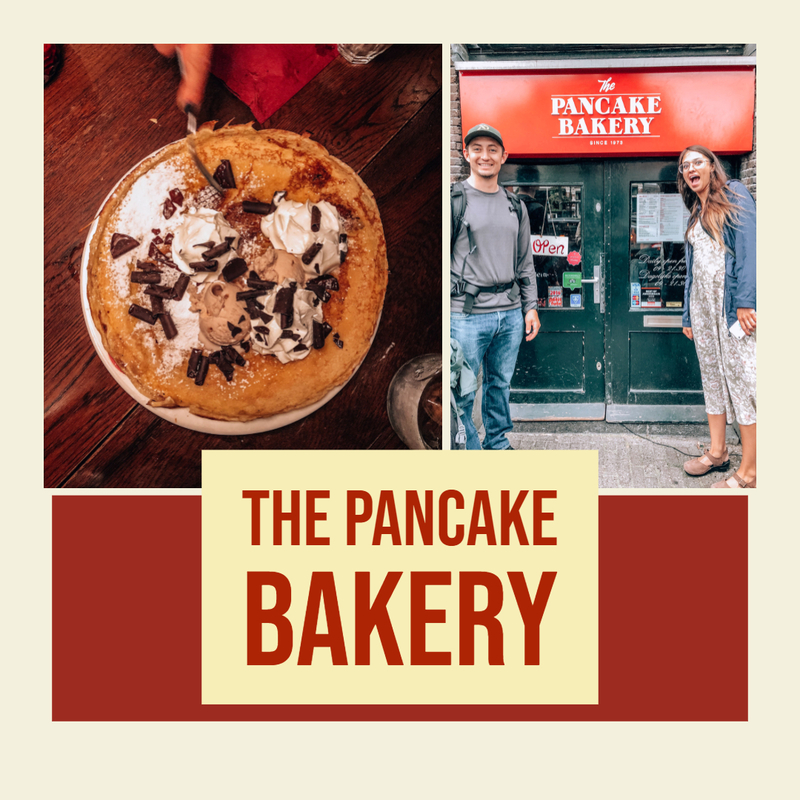 Okay, lemme talk about the Pancake Bakery for a minute. We devoured our food there, and I highly recommend the pesto pancake! Also, the serving sizes FILL the plate - and they're huge plates. If you want to save some money, buy one savory pancake and one dessert one (because you HAVE to eat one of the dessert ones, trust me), and split it. IT WAS SO GOOD I'M DROOLING JUST THINKING ABOUT IT. Next, I can't forget about Foodhallen. 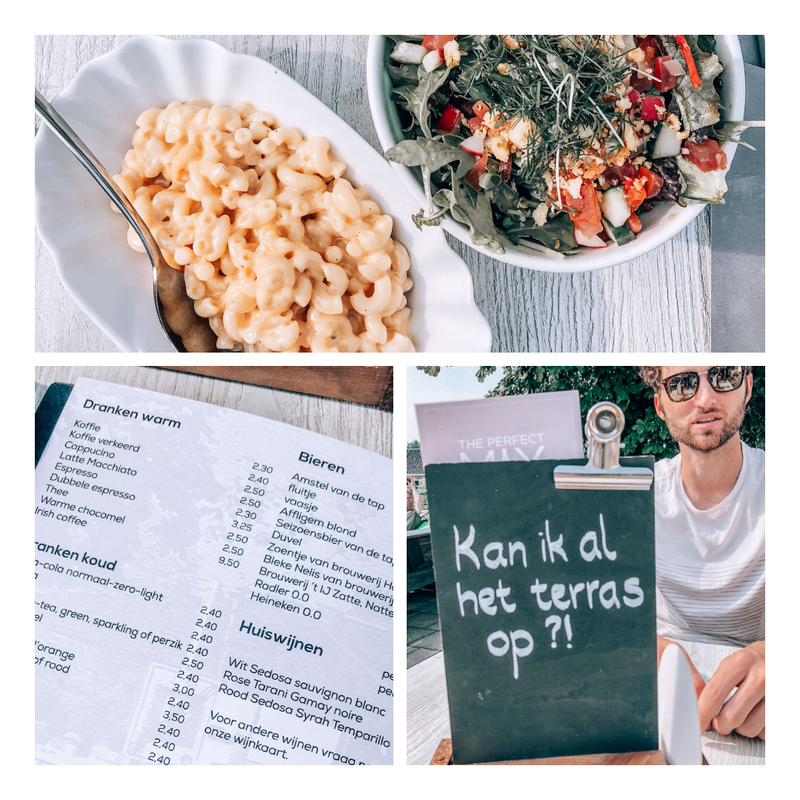 It was such a cool place to eat! We almost got lost trying to find it, as it was tucked away and we wandered right up to the door wondering if it was the place. But once identified, I wandered around it's halls flabbergasted. It's a huge space filled with food vendors and stalls of all different cuisines from around the world. No matter what you're craving, they'll have it. 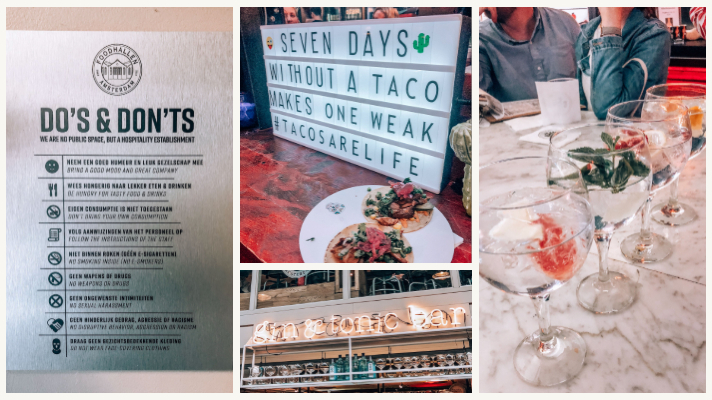 I ended up going for the taco stand (no regrets there, your girl knows what she likes) and we all grabbed a drink from this amazing spot that strictly served gin and tonics! Oh, and specialty ones at that. You should've seen the menu for these monstrosities. 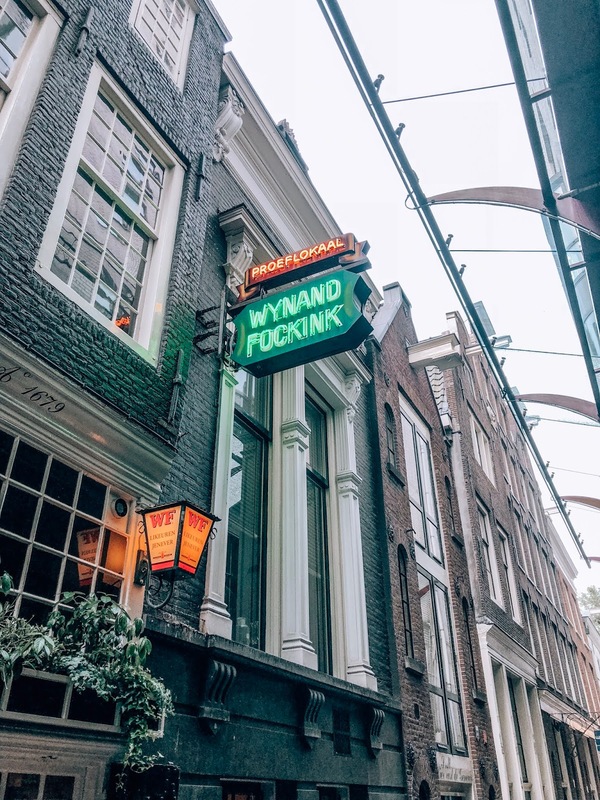 Finally, you better make a stop at Wynand Fockink (and yes, it's pronounced "wine and f*cking")! Around 1679, Wynand Fockink started a liquor distillery, and soon after a tasting tavern was added. To this day, you can still try their liquors and genevers (Dutch gin!) made in the same exact 17th century traditional craft methods. We had an absolute blast chatting with the craftsmen inside and got to sample many different flavors based on our preference. And yes...we ended up buying a bottle or two to take home. Okay, I almost didn't include this one, but then I remember the mac & cheese. So! While exploring outside of the city, we came across Pino's Bar & Grill, where we stopped for lunch. Now, the service was subpar, and side note: if you order a Heineken, apparently they serve bottles of it that don't have any alcohol. Clarify that you want the alcoholic one with your server, lest you be served piss juice (unless that's what you're into, you weirdo). It took forever for us to get our food but IT WAS WORTH THE WAIT. Food in Europe is just better in general. Every mouthful was delicious, seasoned perfectly, and just the right amount so we were full but not overtly so afterwards. Okay, this one's a given. But you simply must rent a bike to explore the city and outside of it! We didn't have as much time, but if we did, we could've gone further and seen more windmills. 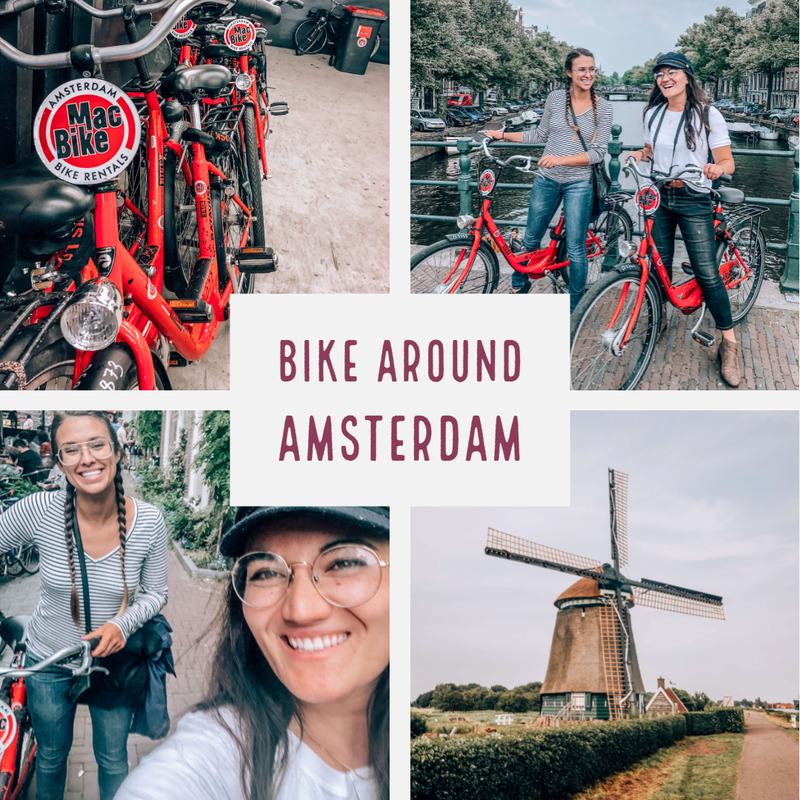 But I'm so glad we got to experience the crazy, thrilling bike traffic of Amsterdam along with the relaxing, beautiful countryside found across the ferry. Looking for a nice hostel to stay at? Clinknoord! We only spent one night here but wish we had stayed there the whole time. Via Amsterdam is very nice as well, but the location of it is what kills it. Clinknoord is 5 minutes away from the heart of the city and has a ferry that runs 24 hours. Whereas it takes an extra 20 minutes one way by train to get to Via Amsterdam AND they all close around midnight, so if you're out late, you have to Uber back. There's a bit more from our time there, but I feel like these are the important tips I have to share with you. If you've ever been, let me know what I missed and share your advise in the comments! And even if you haven't, let me know what questions you might have.